I don’t care about or participate in Black Friday or Cyber Monday. But Giving Tuesday is awesome and I never miss the opportunity to participate in a day of collective giving. I love it. 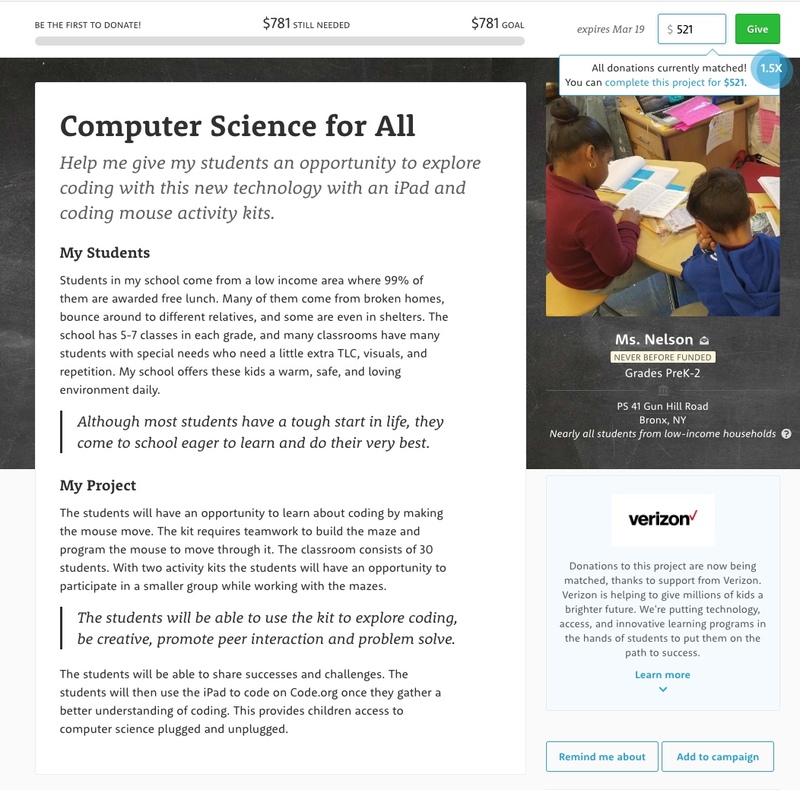 This morning I went on to DonorsChoose and fully funded a project that is near and dear to my heart, teaching early elementary school kids how to write code on tablets with visual programming languages. And in this case, the kids are from a high need neighborhood in the Bronx. I would encourage everyone to take a few minutes today and give what you can to a cause that is near and dear to your heart. I promise you that it will make you feel great. It really isn’t about how much you give. It is about finding something that matters to you and supporting it with whatever you can afford. I hope you take a few minutes today to give.